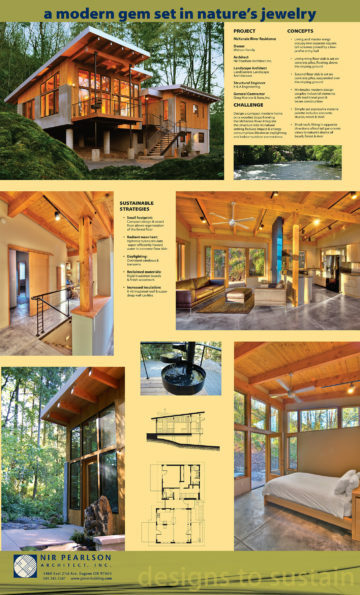 Greg Morrow & Sons, Inc.
Design a compact modern home on a wooded slope fronting the McKenzie River. Integrate the structure into its natural setting. Reduce impact & energy consumption. Maximize daylighting and indoor-outdoor connections.